You're all welcome to use this in any wallpaper. I like the gradient colors that you added in certain places. It's nice as compared to other vectors that have only one single color depth per area. Pia Carrot? 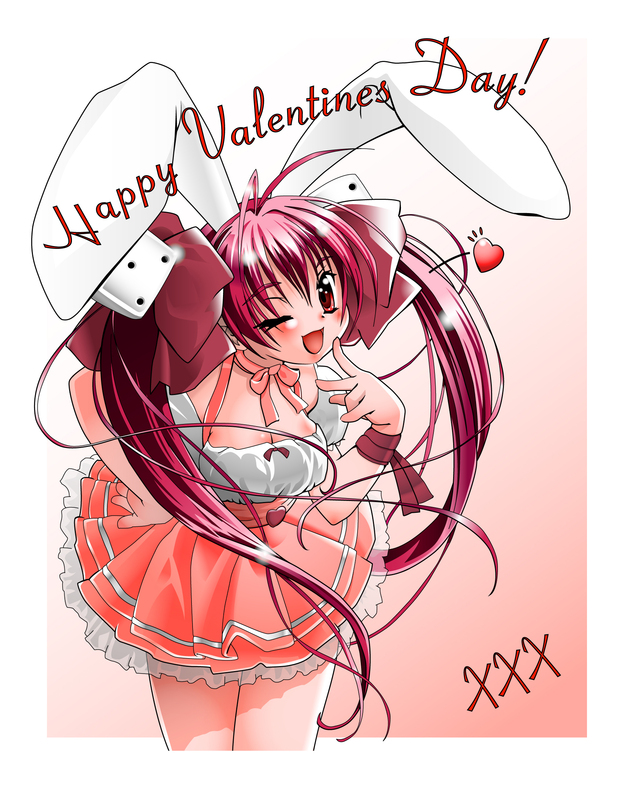 someone cosplaying as Rabi-en Rose from DiGi Charat? she's clearly Rabi-en Rose from DiGi Charat no doubt about that. well, back to the vector. i'm truely amazed for the coloring done on here, this has got to be one of the best i've seen yet so far. i absolutely have to learn how to color or use gradients or whatever methods you've used here. tips? tips? lol just as ZeroFear said, i too gonna have to learn a thing or two from you. INCREDIBLE! ABSOLUTELY! sorry for the caps ^_^' i really mean it though. fav! Yeah your right. I used Illustrator CS in this vector entirely. Yeah its all about using the layers. By creating a base colour and building it up with other layers. With each shape you create u can make it a gradient. The trick is to make a base colour and put shapes on top of it using gradients. The key is that each shape you put ontop can have its separate properties. Under the transparency tab you can select multiply to add shade, or use lighten to create highlights. Play with the opacity to create transparent colours or shading, in the same tab. omg! so adorable! how did I miss this! that ish amazing! she ish shoo kawaii! nice vectoring! Lovely art right there ^^ Keep up the great work 8d ?